On this day in history, June 16, 1738, Mary Katherine Goddard is born. Mary would become one of the most prominent printers of the American Revolution and would print the first copies of the Declaration of Independence that contained the names of all 56 singers. Mary Katherine was born in New London, Connecticut to a wealthy doctor and postmaster. When her father died, Mary's mother moved the family to Providence, Rhode Island and lent her younger son, William, the money to open the Providence Gazette, the city's first newspaper, in 1762. As the business grew, William traveled a lot, leaving Mary Katherine and their mother to run the paper. In 1767, William founded the Pennsylvania Chronicle in Philadelphia with several partners, including Benjamin Franklin. When the elder Mrs. Goddard died in 1770, Mary Katherine moved to Philadelphia and took over the publishing of the Chronicle. Mary moved again, this time to Baltimore, when William started the Maryland Journal in 1772. By this time, William was heavily involved in politics. His pro-revolutionary and anti-Crown opinions drew the scrutiny of the Royal government. He even spent some time in jail for his incendiary opinions. Mary kept the papers going all the while. She, however, rarely printed her own opinions. to contain the names of the 56 signers. By 1773, the authorities were censoring the mail heavily. Some postal lines were completely blocked to prevent communication between the colonies. The mail difficulties eventually forced the Goddards to shut down the Pennsylvania Chronicle. This prompted William to create his own postal system with the advice and help of Ben Franklin, who had been the Crown's chief Postmaster for North America. William's system was eventually adopted and became the US Postal Service. 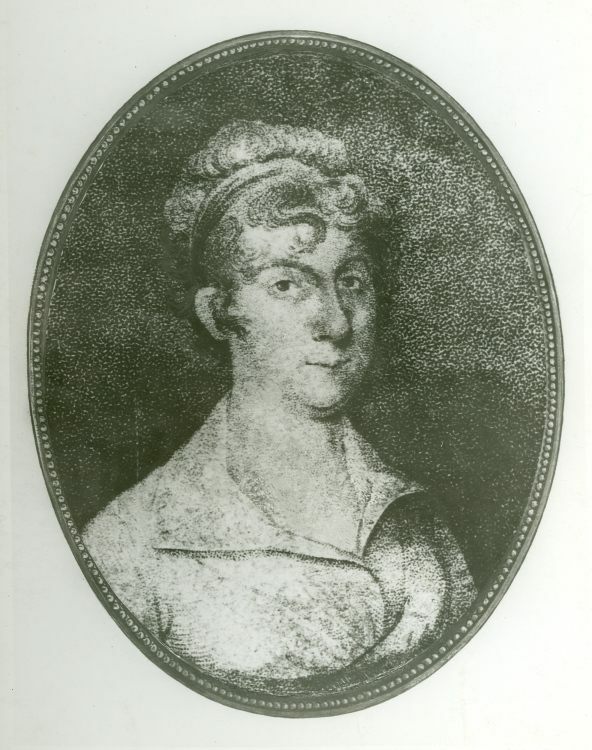 Mary Katherine became the new postmaster of Baltimore in 1775. She would continue publishing the newspaper, serve as postmaster, bind books, print almanacs and other books, and open a bookstore in the coming years. Her most famous claim to fame was printing the Declaration of Independence with the names of all 56 signers in January, 1777. Congress was meeting in Baltimore at the time because the British army was near Philadelphia. 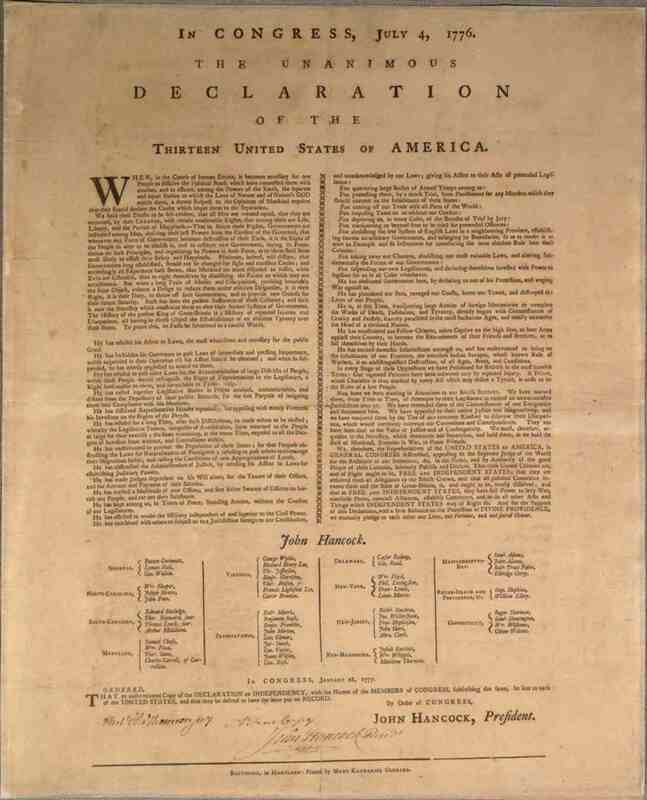 The original Declaration was printed by John Dunlap in Philadelphia with no signatures. The signatures were written on a copy in August of 1776 and it was this document that Mary Katherine reproduced with the typeset names, putting her own life at risk. After the war, Mary Katherine and William had a falling out and she was forced out of the paper for reasons which are unclear. She continued selling books and dry goods for years and as postmaster until 1789 when she was forced out of this position as well. When the new US government created its official post office in August of 1789, the first postmaster general appointed by George Washington, Samuel Osgood, immediately fired Mary and put a political ally in her place. Mary was told the position would require a lot of travel and since she was a woman she would not be able to handle it. Mary had been running the busiest post office in the country for years, but this didn't matter to Osgood. The protests of hundreds of businessmen in Baltimore fell on deaf ears as well and Mary's contribution to the post office came to an end. Mary Katherine Goddard remained in business until the early 1800s and passed away at the age of 78 in 1816, having made her mark in the printing industry and on the post office.